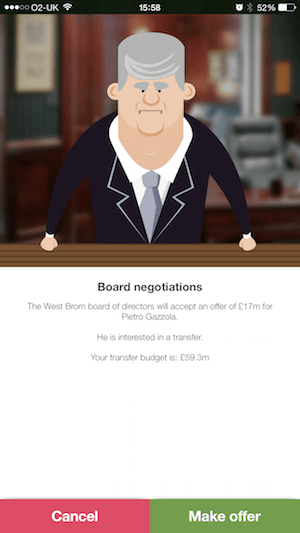 7 Stripped down Football Management. And still they come. Rolling over the hills, the challengers to Football Manager’s throne. 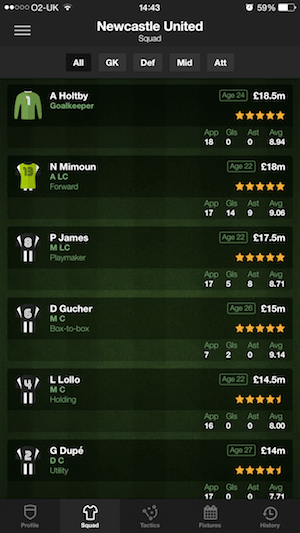 Last month we looked at Top Eleven, an endearing but limited effort more geared to the online multiplayer market. 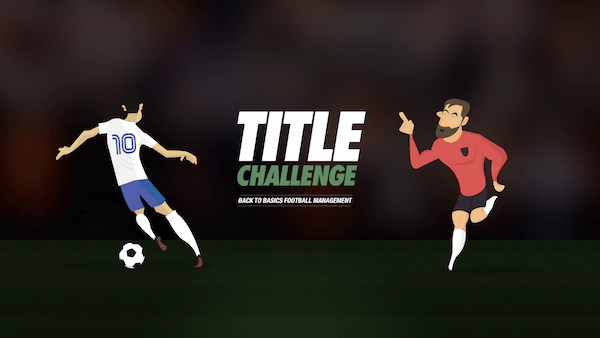 This week, it’s the turn of Kyan Games to take a swing at the King with their effort, Title Challenge. And it’s a well-aimed blow. 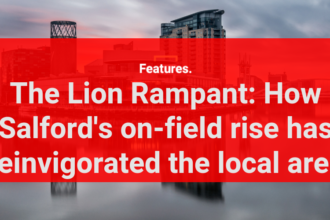 As such, a gap has opened up in the market that Football Manager Handheld hasn’t quite filled as neatly as its elder sibling. And this is precisely where Title Challenge has positioned itself. Conceived and produced by people who adored the earlier incarnations of FM, it’s low maintenance and quick to play. But that doesn’t mean it looks cheap. Filled with illustrations by artist Dave Will, it’s a gorgeous little game and the beauty is so much more than skin deep. The interface is intuitively designed, so you’ll never spend ages searching for the tactics page or trying to figure out how many goals your strikers have scored. 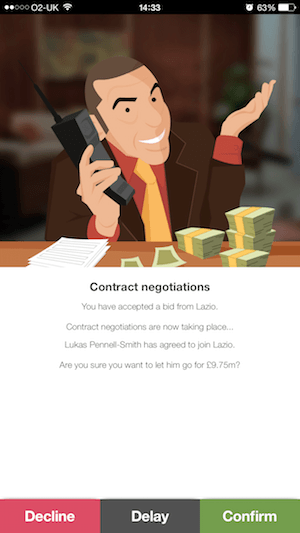 Switching players around in your team is as simple and straightforward as moving apps on your smartphone. If it takes you longer than ten minutes to figure out how to navigate your way around this game, then I would counsel you not to leave your house alone for fear that you would get lost in your own front garden. But there are drawbacks to all of this accessibility. Yes, you can smash through a season in little over an hour, but that’s because your day-to-day responsibilities are so light and because there are no cup competitions. Tactics are limited to picking a formation and putting your players in the right place. There is no choice over a style of passing, strength of challenges, high or low lines or team mentalities. You just drag, drop and play. Unsurprisingly, given the cost of licences, there are no real player names here. However, it’s not hard to crack the code. Arsenal have a 25 year old attacking midfielder called Mesut Ortega. Chelsea’s danger man is Eden Hughes. You can edit data before the game and the forums have links to ready made databases, so it’s not too much of an issue. The players do not have individual attributes. They have single star ratings that rise or fall with training and morale levels that shift accordingly if they play well, play poorly or do not play at all. You can check your opponents’ formation before the game, but not during it and substitutions and formation tweaks are all you can do after the final whistle. That final whistle comes around quickly, but not too quickly. Individual matches take as long here as they used to on the early 1990s versions of FM. While the players are awarded marks out of ten, it is very hard to get a read on whether or not your tactics are right. Data is very limited, so tweaking your team is a little like going to the toilet in the dark and just weeing until you hear a splash. But for all that, the game does help you along the way. If you put someone in the wrong position, an exclamation mark will flash up. If you are warned that a player is tired, that warning will appear again on your tactics screen. It’s all designed to minimise movement through menus, the bane of all intelligent handheld apps. The real challenge is to balance your desire for success today with plans for prosperity tomorrow. Do you invest in the training ground to ensure that your players reach their potential? Do you invest in scouting to buy that potential? Or do you spend your money on ready made players. Even at the top, where bank balances are limited to £15m at the start, you can’t do everything. This game comes into its own when you start at the bottom. Kyan Games say that more updates are planned with new features in development, and that’s the nice thing about buying apps. You’re not simply buying a game, you’re investing in its future. And there’s more than enough potential here to justify your £2.99. You can buy Title Challenge on the App Store and you can find out more about the game by clicking this.